Traditional braces are still the most commonly requested and used braces in orthodontics. As a dental assistant here at Cronauer & Angelakis, it is easy for me to explain why! Traditional or metal braces can be used by all age groups for teeth alignment. Pregnant women often ask if they can wear metal braces, and the answer is: yes, you can; they are made from high grade stainless steel and will not affect your pregnancy at all. Metal braces have been around for a long time so they are trusted, and they do the job just as well as any other type of brace. The fact that they have been around for a long time, also makes these braces the most likely ones to be covered by your health insurance scheme. Even if you do not have a health insurance plan, they are still the most affordable type of brace when you have teeth straightening needs that are not really minor. Truth is – your doctor can sort out basically all your teeth alignment needs with traditional braces. Apart from these benefits, technology and esthetics have also not passed them by! Modern traditional braces are much more comfortable to wear than the original ones – and the fashion conscious ones among us can now even choose colored elastics (from a color chart, no less!) to add to our braces! Teenagers especially love this, as it gives them the opportunity to express themselves in an unconventional way. Traditional braces are still the most noticeable of all braces. However – modern metal braces will no longer get you the title of ‘metal mouth’ like in the old days. 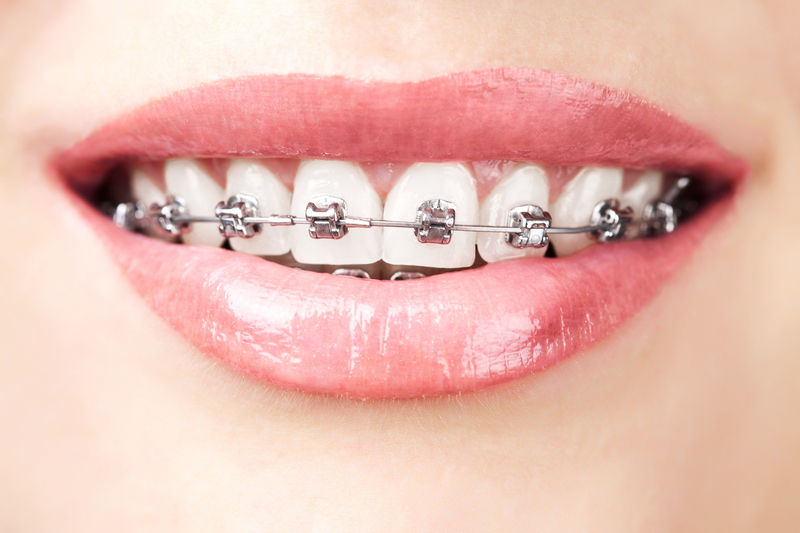 Today’s metal braces have smaller brackets and are therefore much less noticeable. The new metal braces also use heat activated arch wires that are activated by your body heat, resulting in your teeth moving faster and less painfully than in the past. There is no need to remain self-conscious about your smile because of misaligned teeth anymore. If you would like to improve your smile and also get a confidence boost, give us a call! We will sort you out in a really caring way. Categories: Braces | Tags: Braces, Braces Florida, Orthodontics, Orthodontist | Permalink.